A precision, ergonomic flush cutter that produces a square cut on soft wire and features an ultra slim profile to reach into tight spaces with maximum maneuverability is available from Xuron Corp. of Saco, Maine. 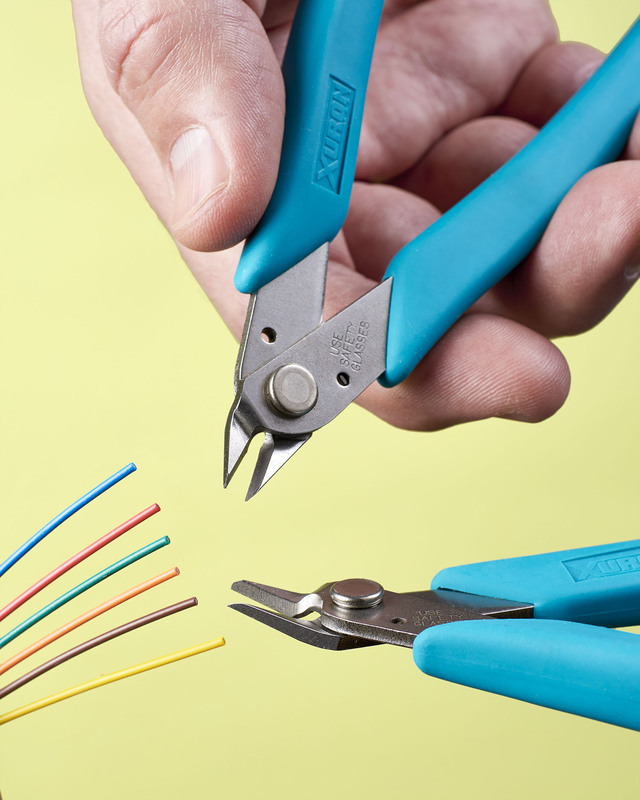 The Xuron® LX-Micro-Shear® Flush Cutter is an ergonomic hand tool that employs bypass cutting technology to produce a clean, square cut on soft wire up to 16 AWG (1.29 mm) with minimal squeezing. Featuring an ultra slim profile, this flush cutter is ideally suited for jobs requiring an extremely sharp tip to let users reach into highly restricted areas. Easy to maneuver with far less effort than a compression-type cutter, the Xuron® LX-Micro-Shear® Flush Cutter has precision ground cutting edges and 0.100” thick high carbon steel blades that are polished for a bright, glare-resistant finish. Cushioned rubber grips and a Light Touch™ return spring facilitate user comfort and this tool is capable of making millions of cuts. The Xuron® LX-Micro-Shear® Flush Cutter is priced at $ 16.75 (list). A complete catalog of shears, wire strippers, pliers, forming tools, tool kits, and specialty products is available online or upon request.